This is a good reality check for any SEO. Are you obsessed with links? Today Xbox Live integrates with Facebook, Twitter and Last.fm. This means you can make use of all three of those web based services from your Xbox console. 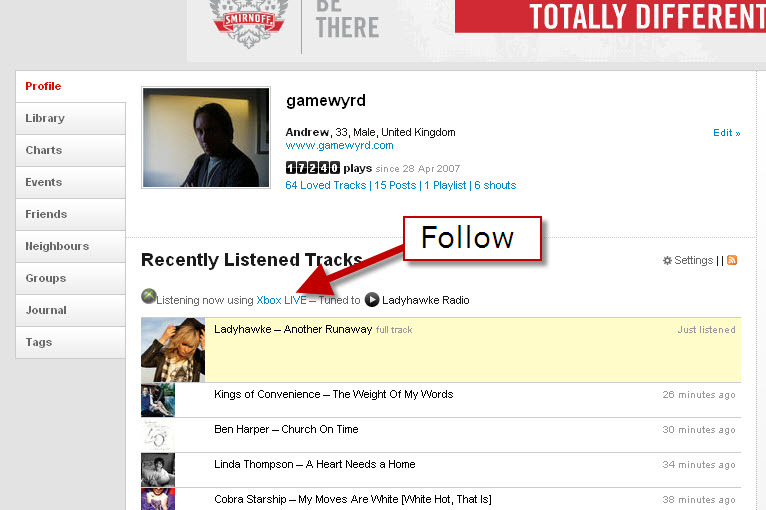 A lot of the focus has been on the Facebook and Twitter integration but the one I'm liking the most so far is Last.fm. It's easy to stream music from Last.fm, through my better-than-the-laptop speakers on my TV and watch while album art floats by. 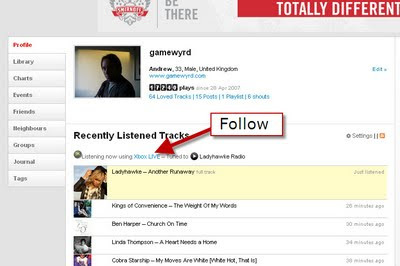 On the web side of things thousands of Last.fm profile pages, tens of thousands, will now start to show when someone is listening to music in the new Last.fm/Xbox way. Yes; these are 'follow' links. It's really not abou the SEO value from this links at all. It's all about the branding boost it'll give Xbox Live. What a way to target a key audience. What a great way to help position the console as more than just a games console but as an entertainment device.